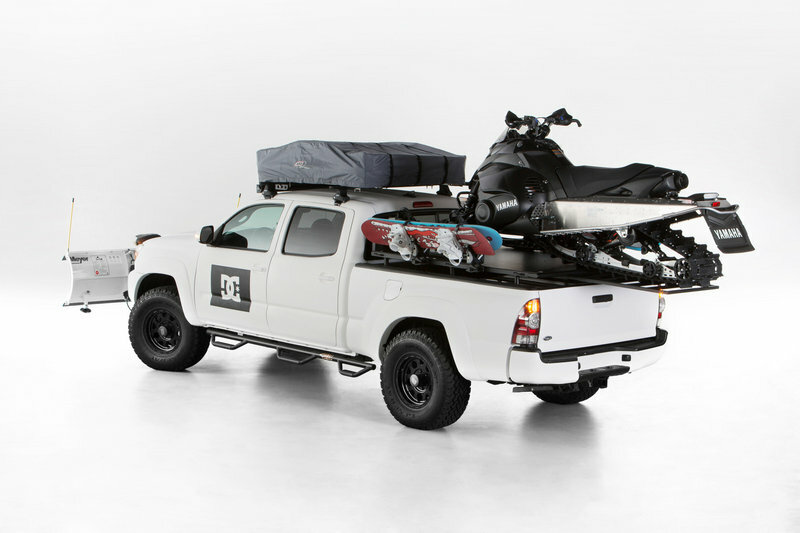 Toyota, Camburg Engineering and DC Shoes teamed together to bring the ultimate snowboarder’s dream truck to the 2013 SEMA auto show happening November 5th through 8th. Starting with ideas for motocross, skateboarding and snowboarding builds, Toyota and DC Shoes asked the footwear company’s fans for their choice on which to build. 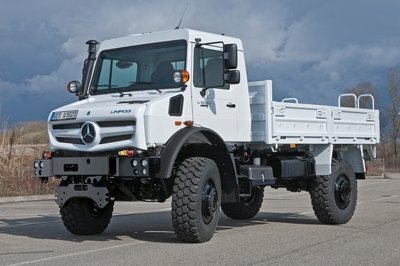 The fans voted and Toyota delivered. 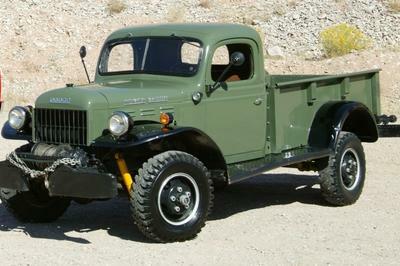 DC Shoes and Toyota chose Camburg Engineering for creating the dream truck. 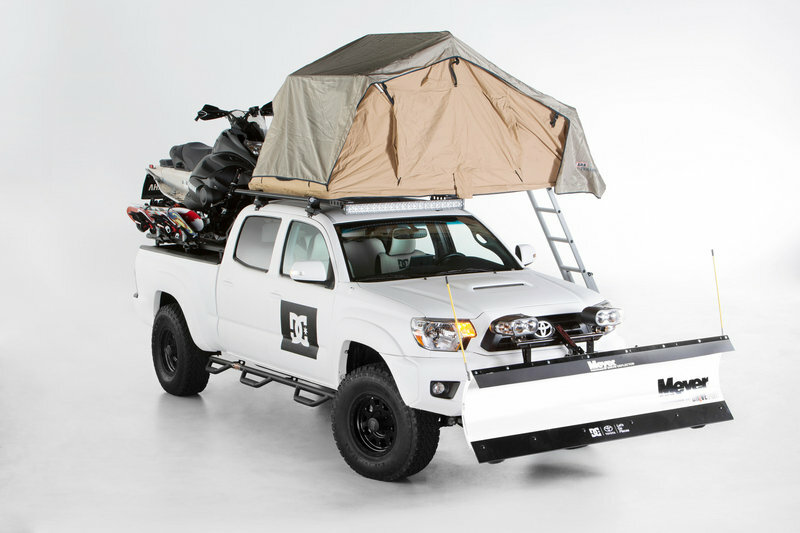 Beginning with a 2014 Toyota Tacoma, Camburg brought to life ideas from professional snowboarders like the massive front snowdeflector; a telescoping ramp for loading a full-size snowmobile on the truck bed; a full suite of audio awesomeness, including an in-dash iPad Mini and a pop-up tent mounted to the truck’s roof rack. Sitting inside the truck’s bed is a huge sliding toolbox with enough space to store gear for a weekend expedition. Besides the iPad Mini, the Tacoma’s interior is treated to an integrated charging station powered by on-board batteries separate from the Tacoma’s engine battery for powering cell phones, laptops and cameras. A wireless, all-weather Scoshe boomBOTTLE pumps the music outside the truck even in the thickest of blizzards. 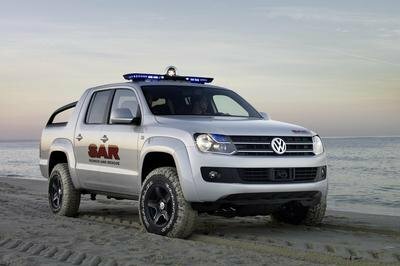 Vision through those blizzards is no problem with the roof-mounted, 40-inch LED light bar and the two light pods sitting atop the Meyer snow deflector. 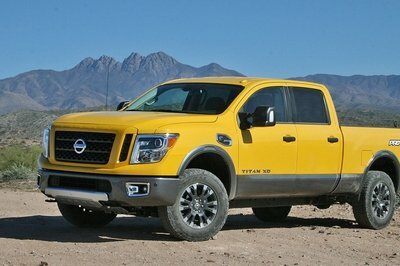 Oversized General Grabber tires keep the truck moving forward – all powered by Toyota’s trusty 4.0-liter V-6. Packed to the gills with equipment and aftermarket add-ons, this Tacoma is ready for any snowy-mountain pass. Designed to take snowboarders past the beaten path, the Tacoma comes equipped with a pop-up tent for overnight excursions. 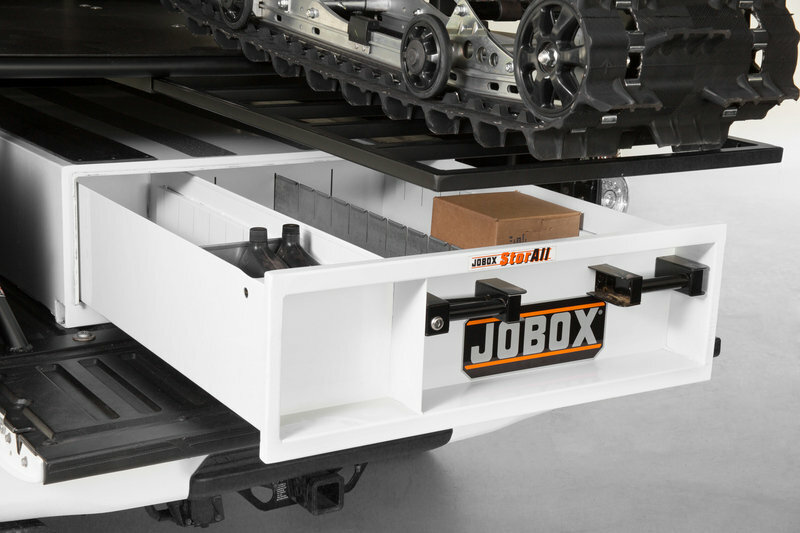 A slide-out toolbox fitted in the bed provides plenty of storage for gear. 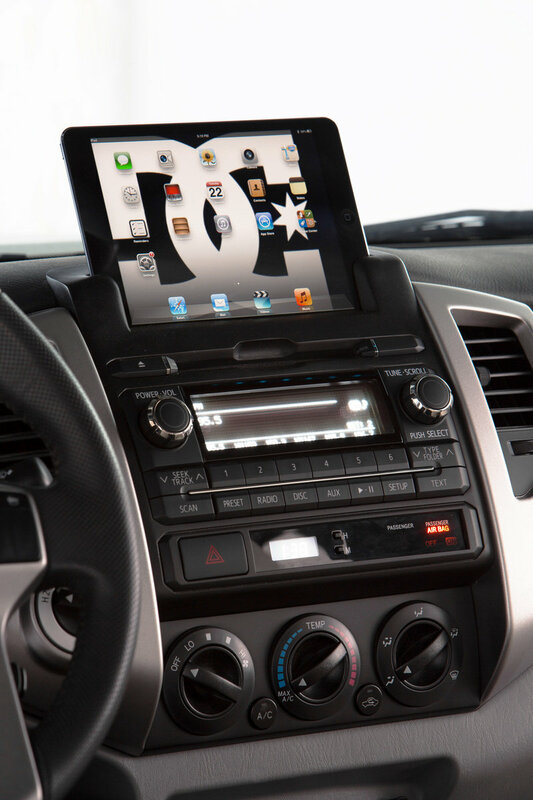 An Apple iPadMini is perched atop the stereo and handles navigation, phone integration, and entertainment. 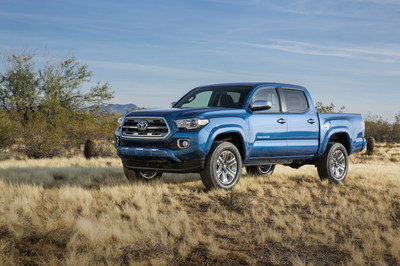 Toyota’s tried and true Tacoma is one of the last mid-sized pickups left in the United States. 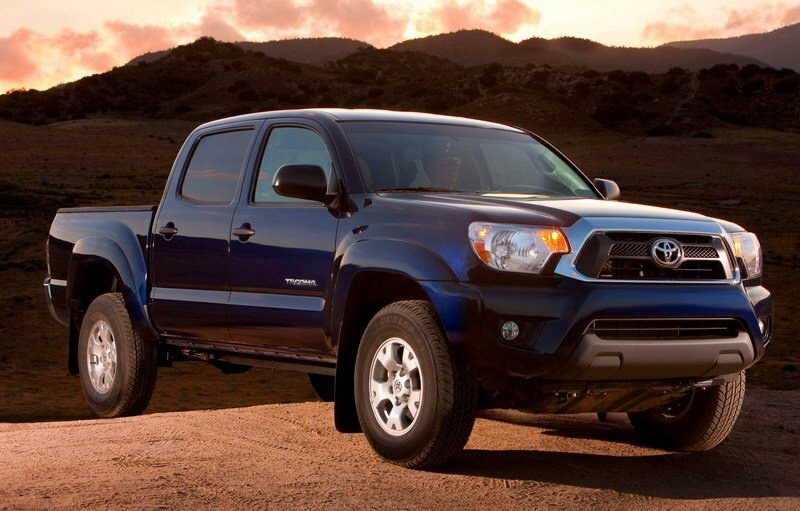 Sales have been steady and Toyota has rewarded the Tacoma loyal with an occasional restyling throughout the years.